1. Friday. After a long day at work I decided it was time to go cruising for chicks. 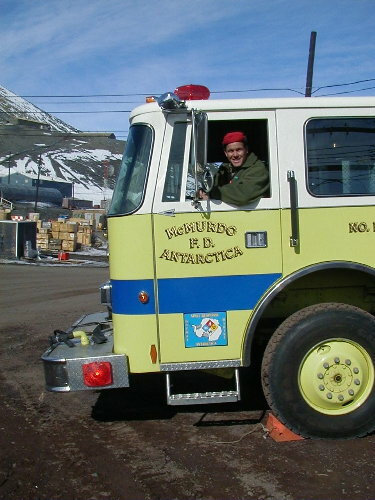 There are only a few vehicles in Antarctica so I figured my best chances of impressing a girl would be by pulling up in our fire engine. Fortunately we do not have any police cars here to chase me down. Unfortunately though the fire engine did not turn out to be the babe magnet I had hoped. Undeterred I redirected my efforts and got a vehicle I knew would get me a date.